How to prevent fires, floods, and broken appliances. 1. 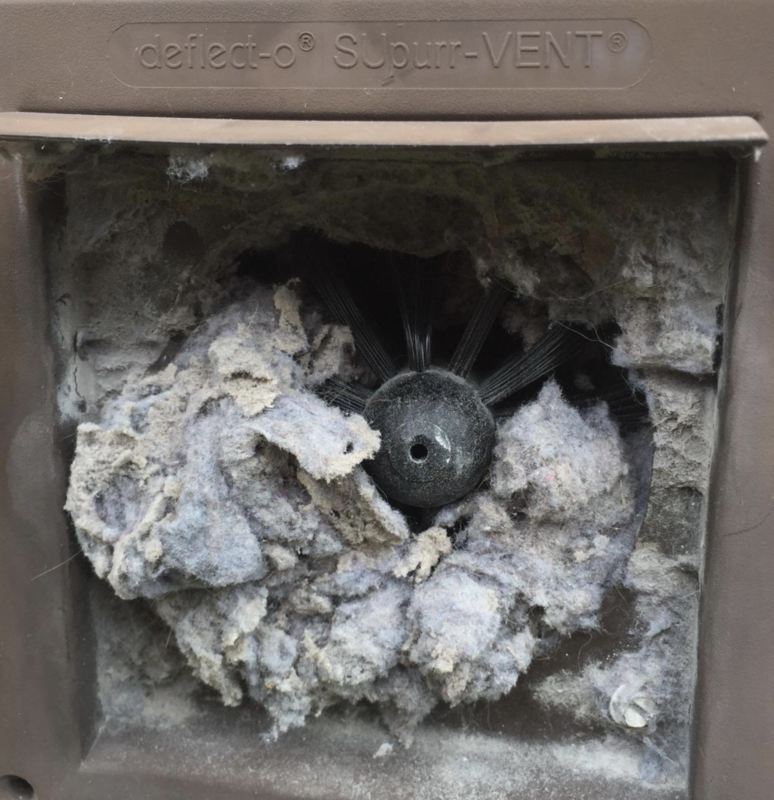 Snake your dryer duct at least once a year to prevent lint buildups that can cause fires. In addition to slowing down your dryer, lint is super flammable. You'll want to clean off the lint screen after every cycle, and snake the dryer duct annually. This little brush kit will push the lint from one end of the duct to the other, making it a relatively easy job. 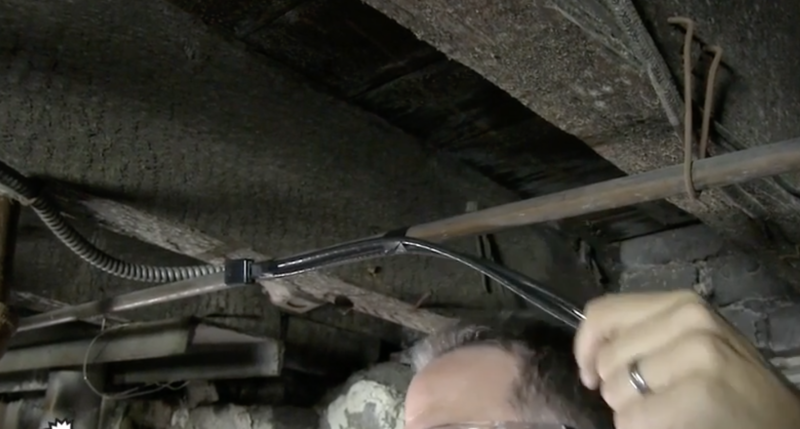 You can also attach it to your drill if you want to give the duct a really good scrub. Get a dryer duct cleaning kit from Amazon for $22.48. 2. Vacuum the condenser coils of your refrigerator to keep it running efficiently. The coils help release heat and keep the fridge cool, so if they're clogged they're going to use more energy and eventually stop working altogether. After unplugging the fridge, move the fridge away from the wall so you can remove the lower back cover. Use a bristle brush to gently pick any debris out of the coils. Then vacuum around the coils, being careful not to push out the blades. If your fridge has a condenser fan, the job is a bit easier, as all you need to do is vacuum around it with the brush attachment. Once you're done, replace the lower back cover and turn your fridge back on. Learn more here. 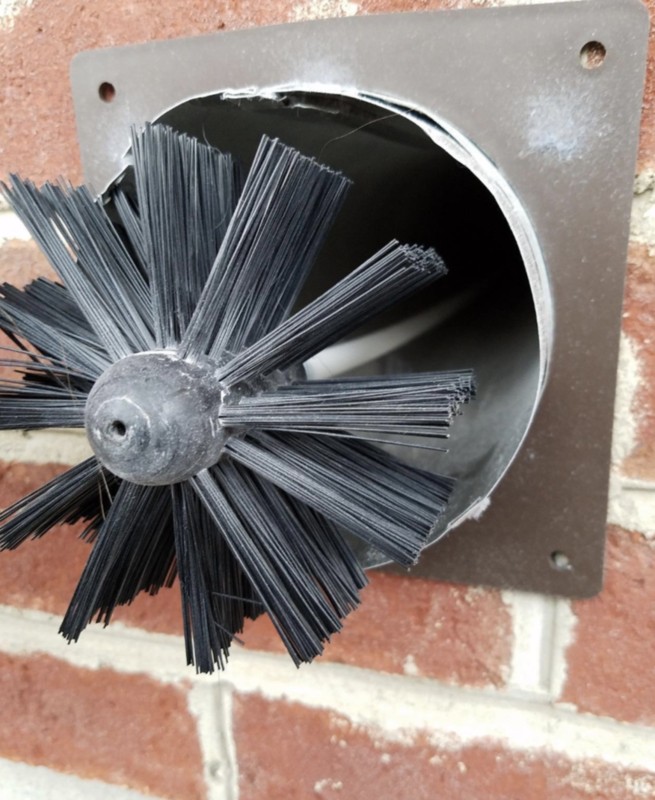 Get a brush that cleans both refrigerator coils and dryer vents from Amazon for $11.64. 3. Inspect all the trees that surround your home for damage or bending that may point to a future break. A toppled tree or even just a heavy branch can cause severe damage to your home and any people or pets nearby. Be sure to prune trees (except during fall or when they are wet) to keep the weight evenly distributed, and examine the trees for cracks, awkward leaning, exposed roots, or irregularly browning leaves, which may be symptoms of illness or instability. 4. Recaulk your bathroom every few years to prevent water damage. After about five years, you'll probably notice the caulk in your bathroom peeling, cracking, or breaking off completely. Once that happens, it's important to replace it in order to prevent mildew, mold, and water damage. To recaulk, you'll need to first cut and scrape the old caulk away with a utility knife and a caulk remover. Next, treat any mold, then mask the gap with painters tape to ensure an even line. Wet your finger and wipe the caulk to smooth and remove excess caulk. Get a caulk gun from Amazon for $8.38 and caulk for $12.43. 5. Clean out your gutters twice a year to prevent water damage and pest infestations. You may need to clean the gutters more often based on the landscaping, but doing it during spring and fall is a good rule of thumb. It can be dangerous to do the job yourself, so you may want to hire a professional if you don't feel confident or safe about the process. If you're intent on doing it yourself, be sure that the ladder is sturdy, steady, and level. Resting the ladder against the gutters can cause them to collapse, so use one that stands on its own four legs if you can. Use a trowel to remove large debris, then flush the rest out with a hose. 6. Clean and clear out blockages in your dishwasher so you don't have to hire someone to fix it later. Regularly wipe down the rubber edges on the sides of your dishwasher so it seals properly and doesn't leak. If you use your dishwasher frequently, you should definitely pull out the filters a few times a month and give them a rinse with hot water and dish soap. Every once in a while, you may also need to pick out any debris that's blocking the holes in the spinning arms with needle-nose pliers or toothpicks. If your dishwasher is pooling after cycles, you may need to disconnect the drain hose from the machine to clear out a clog. And always remember to disconnect the dishwasher and check out the manual for best practices before doing anything! 7. If your pipes are prone to freezing, protect them with heating cables. Frozen pipes can split and crack, so prevention is a way less aggravating chore. 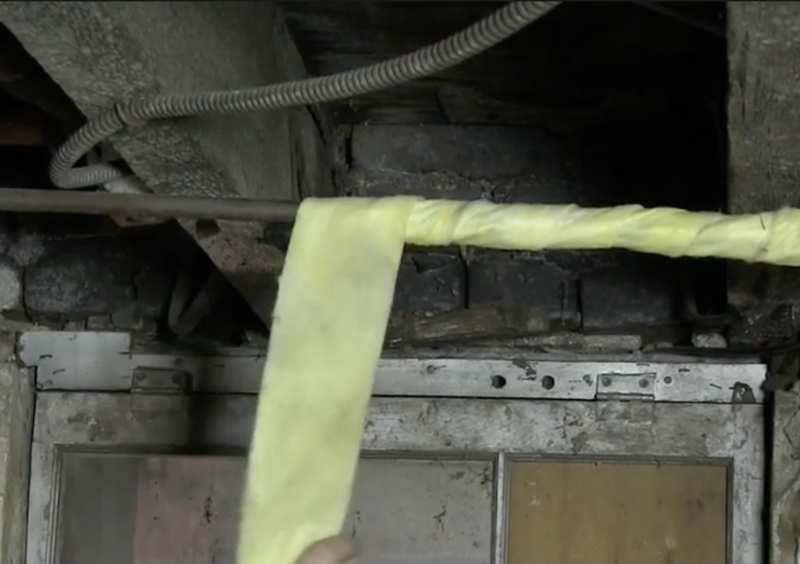 Tape heat cables to exposed pipes, then wrap them in fiber glass. It's also a good idea to leave a tap dripping when it gets especially cold so the water stays in motion. Get 30-feet of heat cable from Home Depot for $43. 8. Check to make sure smoke alarms are working and fire extinguishers are charged so you're always prepared for the worst. At very best, house fires are expensive to deal with and at worst, they can be deadly. Best practice is to check the charge on your fire extinguisher once a month. To do so, just press the pressure test button and make sure the level is steady. If it isn't, you'll need to either replace it or get it recharged. Around the same time, you should hit the test button on smoke alarms so you know they're working. Once a year, you should replace the batteries, vacuum around the vents, and spray the outside of the alarm with insect repellant (bugs and spiders sometimes like to nest inside the cover!). If the alarm chirps even after the battery is replaced (*eye twitch*), the entire alarm probably needs to be replaced. 9. And scrub down the range hood to keep your air clear and prevent a grease fire. The range hood does a lot of hard work in the kitchen, sucking up all the smoke and airborne grease droplets — or at least, that's what it's supposed to do. If it's not, you definitely want to give it a thorough cleaning. Start by wiping down the outside of the hood with soapy water whenever you clean the rest of your surfaces, then clean the filter every second month. To do so, just swish it around in hot, soapy water, then rinse it off and let it air-dry before re-installing it. While that's drying, spray the underside of the hood with an all-purpose cleaner, leave it to soak for a few minutes, then wipe it off with a wet sponge.